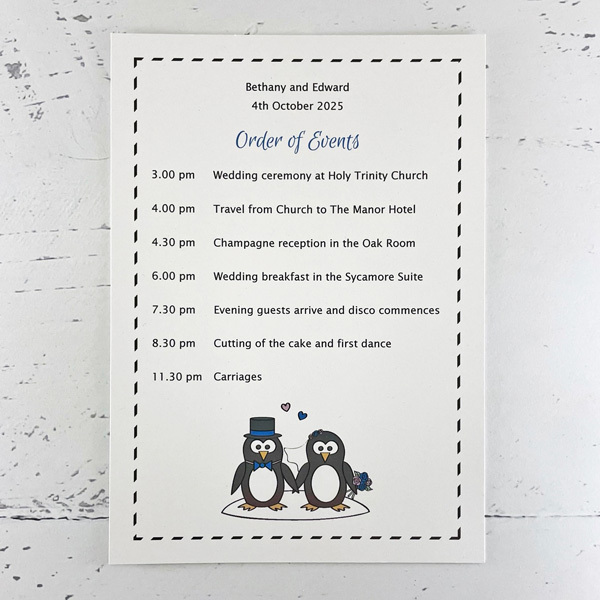 A wedding order of service booklet or programme card in a fun penguin themed design. 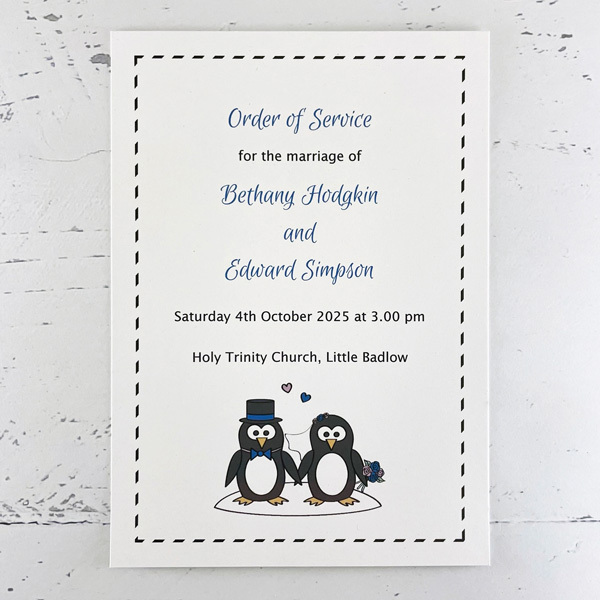 The order of service measures 14.8 x 21 cm (A5) when folded. 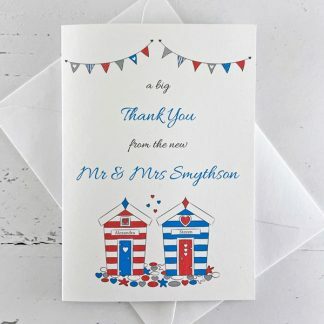 It is a hand-sewn booklet with a card cover and up to three insert sheets, containing up to twelve sides of content. 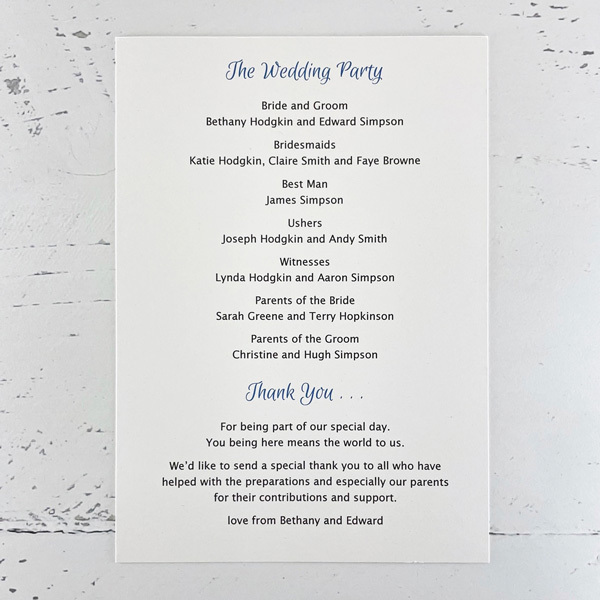 It contains the full running order for the ceremony and is suitable for either a church or civil wedding. You can also have other information printed e.g. the itinerary for the day. 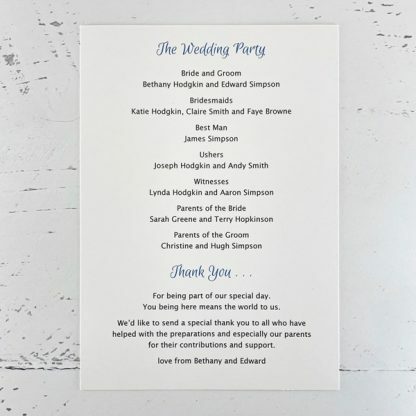 Both the order of service and programme are made from high quality 300 gsm card in white or ivory. 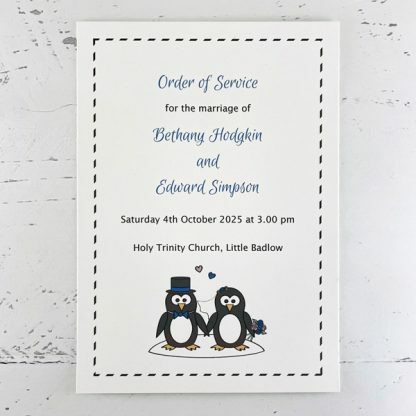 They are printed smudge proof and fade resistant pigment ink. 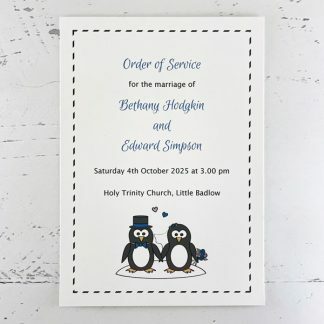 The Penguin design has been created at The Leaf Press and features two penguins dressed as a Bride and Groom (or two Brides or Grooms). 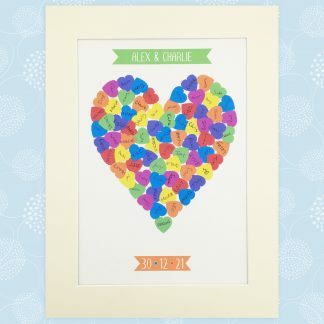 The design has a colour scheme based on two colours, which can be selected from the wedding colour chart. 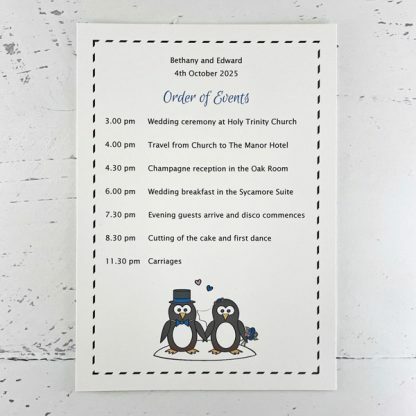 I will contact you to request the information to be printed in your Penguin wedding order of service and am very happy to provide advice about layout and wording. 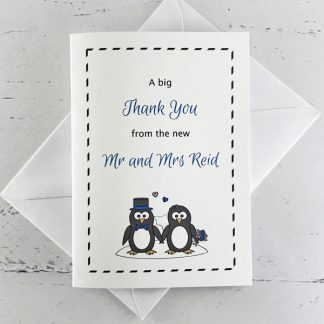 Proofs will be emailed to you before printing in order to check the wording, layout and colours are to your satisfaction.